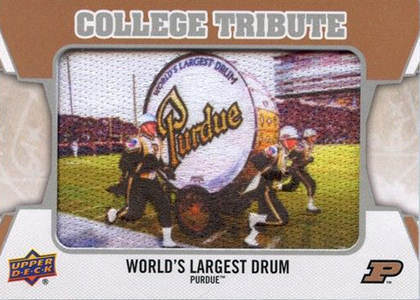 Mascots are so 2013. 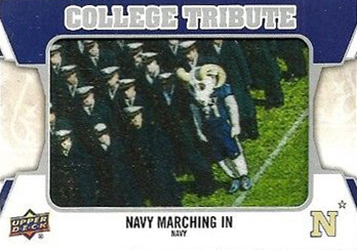 And 2012. 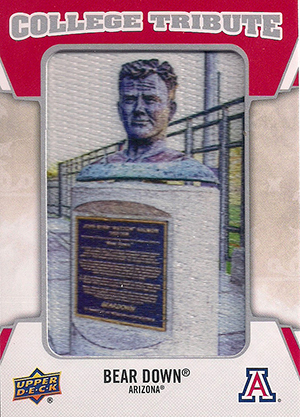 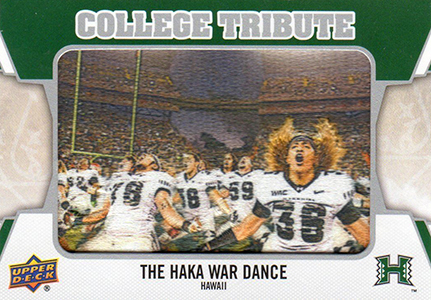 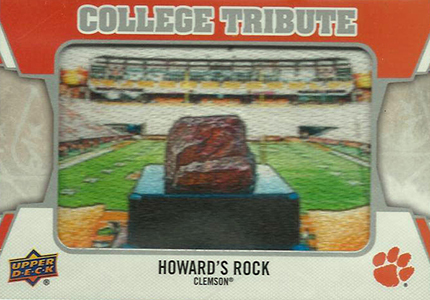 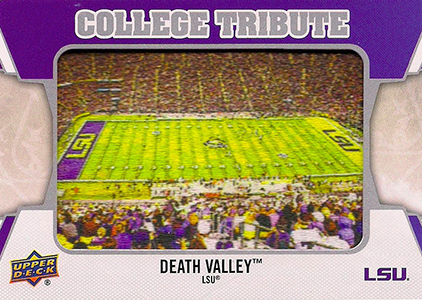 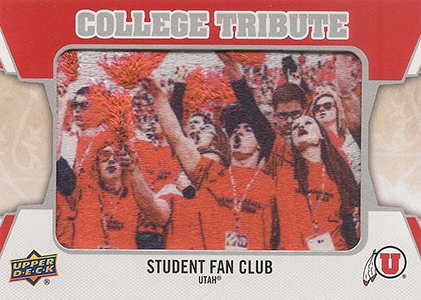 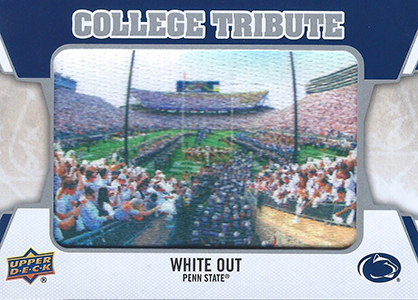 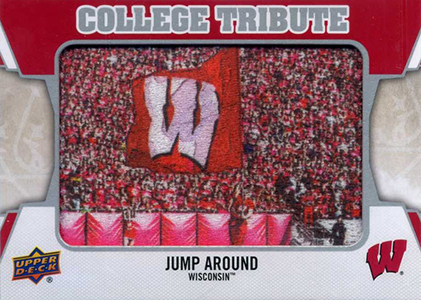 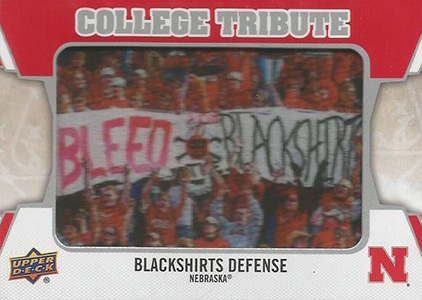 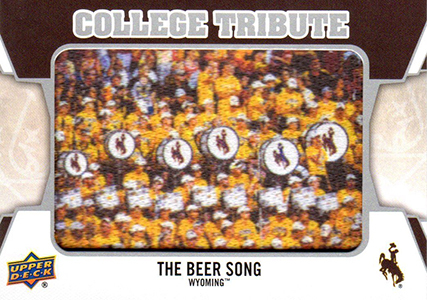 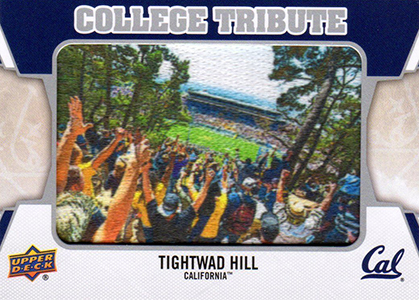 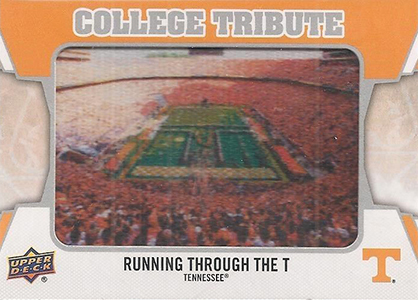 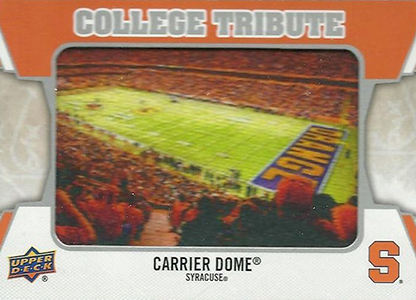 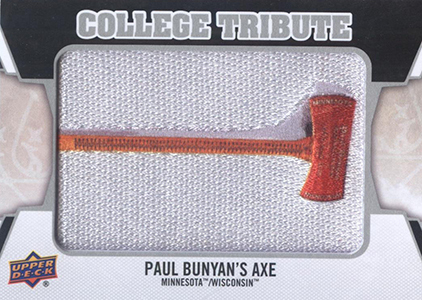 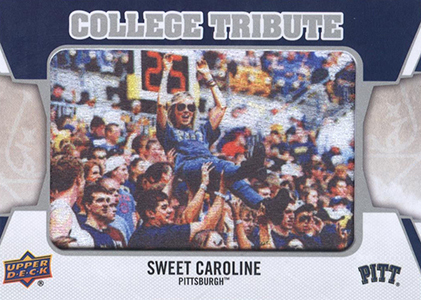 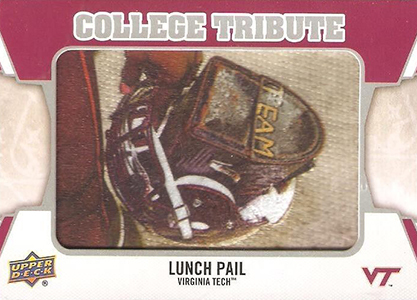 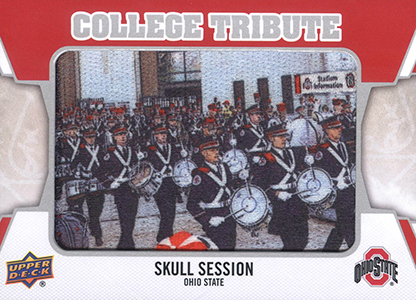 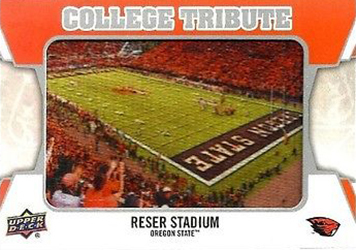 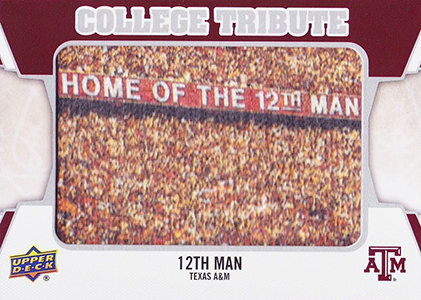 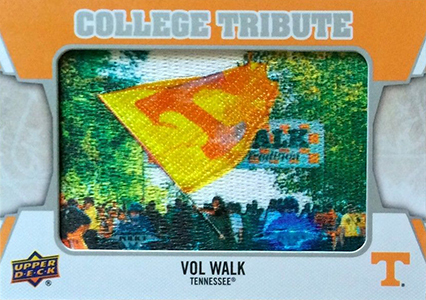 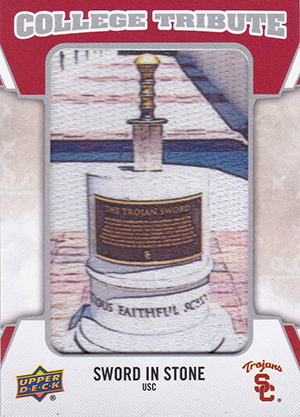 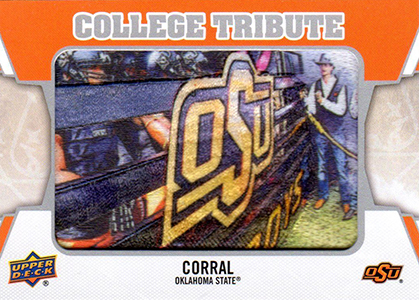 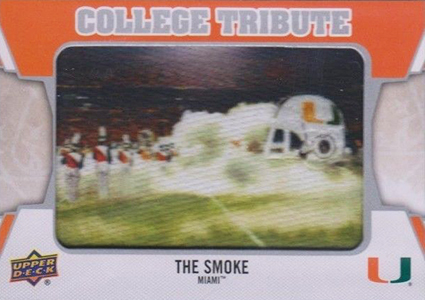 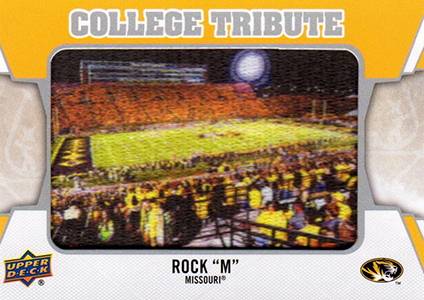 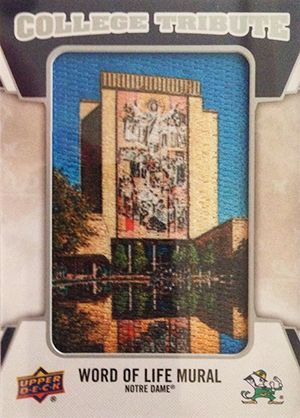 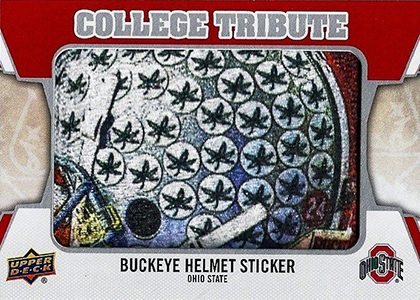 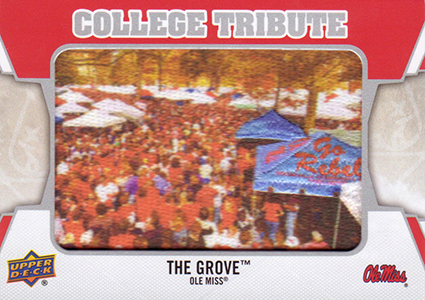 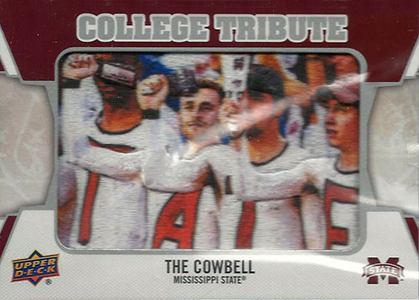 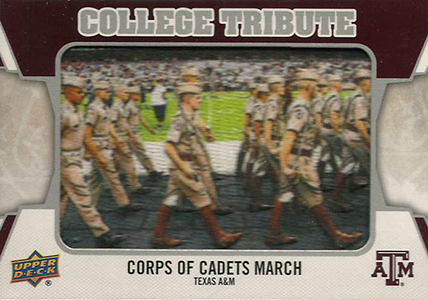 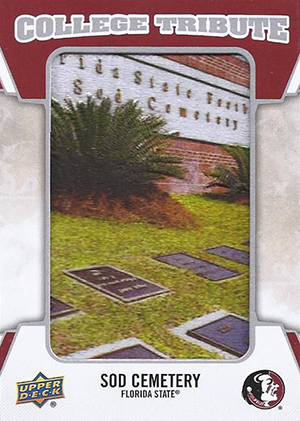 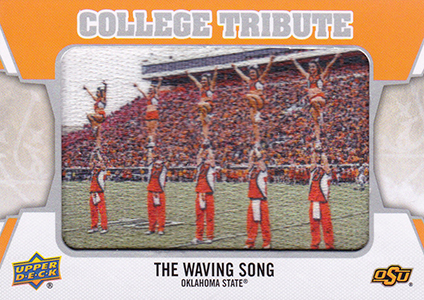 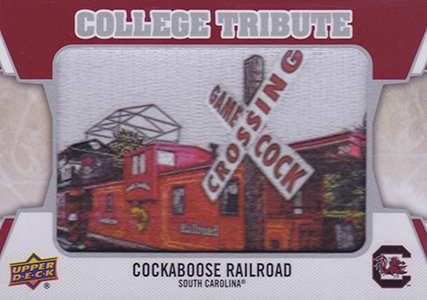 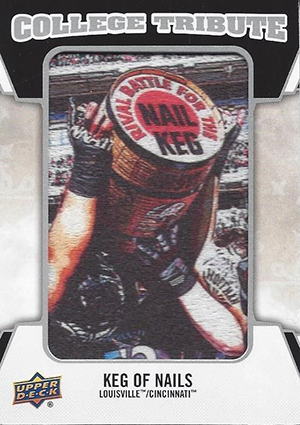 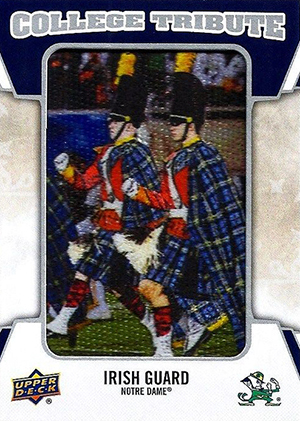 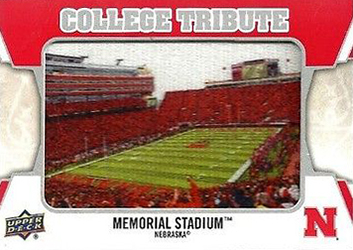 2014 Upper Deck College Tribute patch cards offer a non-traditional spin on some of college football's most beloved traditions. 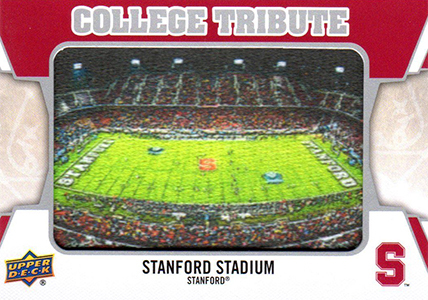 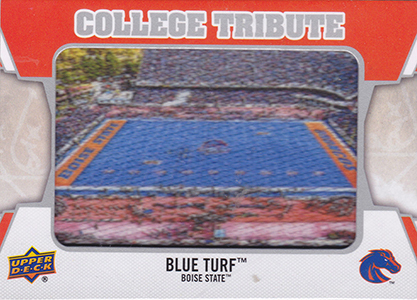 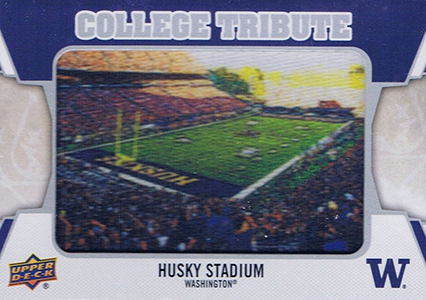 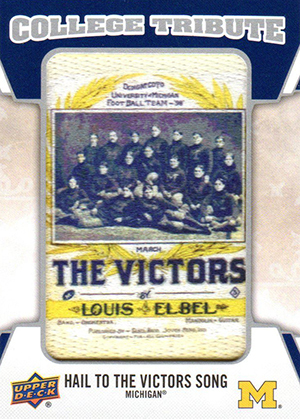 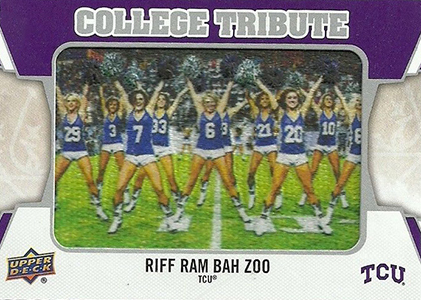 Sticking with a similar format as the mascot-focused sets of last last couple of years, College Tribute cards used manufactured embroidered patches instead of traditional photos. 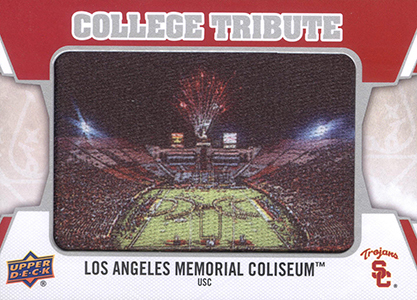 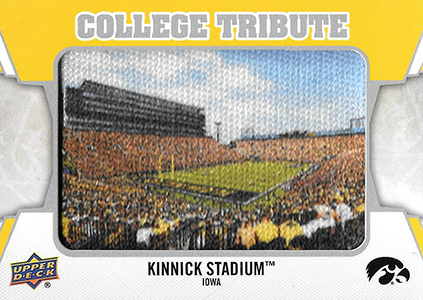 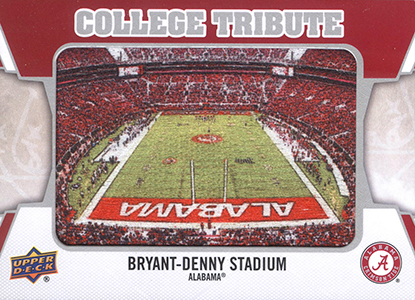 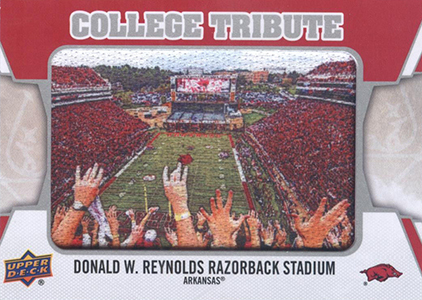 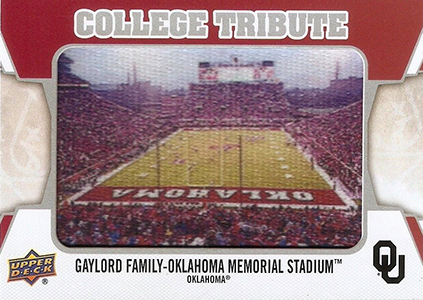 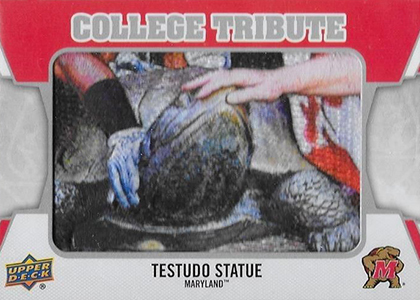 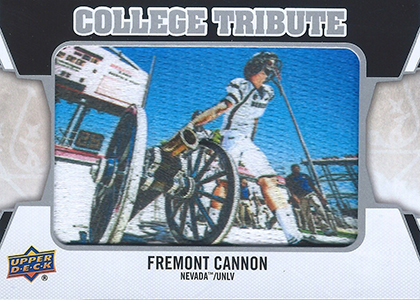 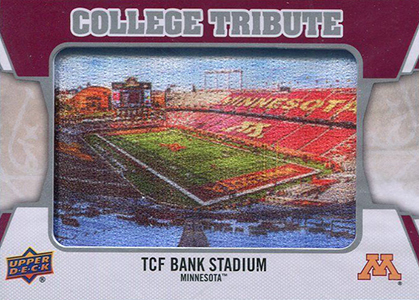 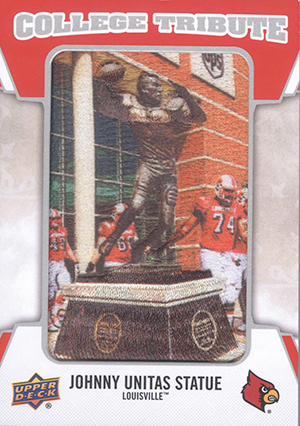 The 2014 Upper Deck College Tribute set covers a variety of subject including stadiums, statues, game-time celebrations and trophies. 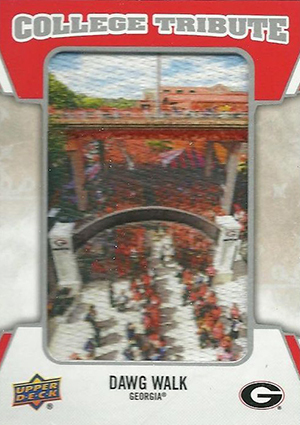 Although Upper Deck has not released specific odds for each tier, the final cards in the set appear to be the toughest to pull. 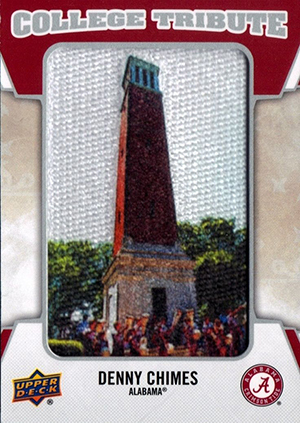 Below is a full gallery of all 60 cards. 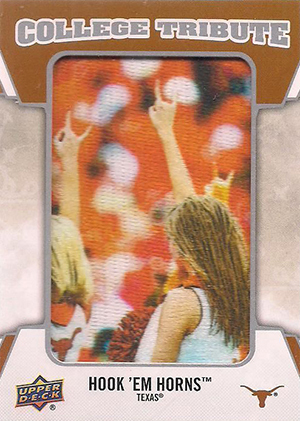 We have also included a complete checklist that includes the school information. 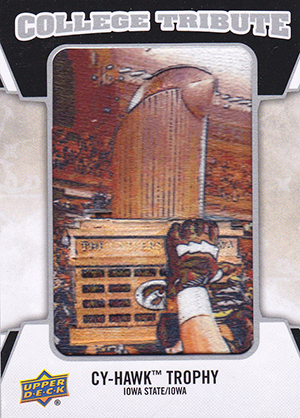 They are missing one of the oldest trophies in college football, the Little Brown Jug. 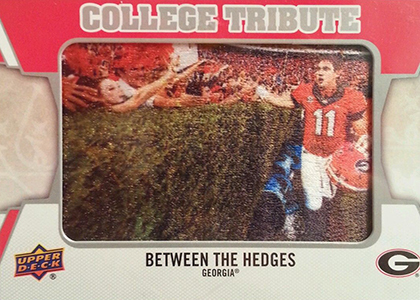 I’m a Georgia fan, and I don’t understand the omission of the Eagle soaring around Jordan-Hare Stadium at Auburn. 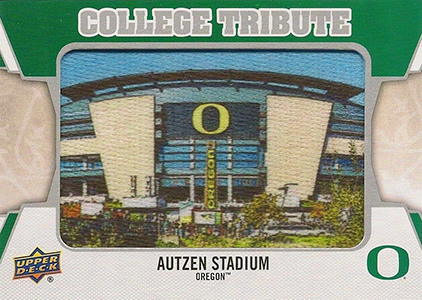 Would Auburn not license it to UD? 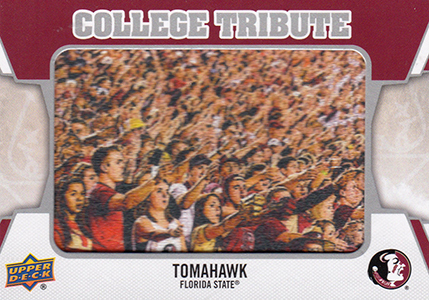 Tony � UD may have a multi-year plan in place for this set if it’s popular enough, similar to the two-year approach taken with the mascots.